In fact, Wilson says, it’s home to a rare herd of desert elk as well as the longest mule deer migration route in the world, which brings them from the Tetons all the way down to winter here in the Red Desert. About 3% of the Red Desert qualifies for wilderness status. The rest of its 3.5 million acres is already too developed for that designation. But Molvar is worried energy and mining development could encroach on even that 3%. He says the BLM doesn’t even require energy companies to get approval before building more roads. She says whatever decisions are made in the new plan, they won’t have a chance to be revised again for twenty years or more. Foster says, that’s means they have to think long term for everyone with a stake in the area. Foster says her office will release a draft of the plan this next spring for public comment. Wilderness advocates hope the public speaks up, even though they also recognize that making a case for the Red Desert as a pristine wilderness could be a tough sell. For one thing, historically, most folks have been just been in a hurry to get to the other side, whether they’re pioneers on the Oregon Trail or motorists on I-80. 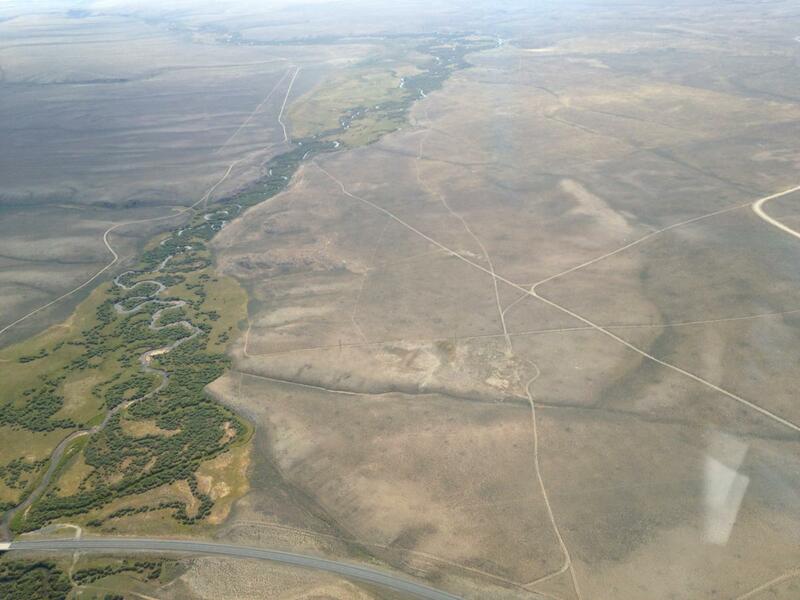 Home > EcoFlight in the News > WY PUBLIC RADIO 10-16-15 Red Desert A Wilderness Or A Wasteland?